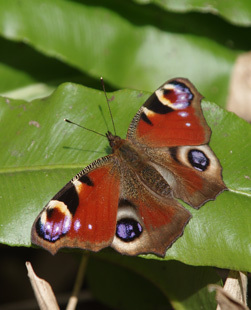 The woodland, heaths and meadows around Haslemere are home to an exceptional number of wild creatures and plants (click for map). Much of this goes unseen as we pursue our daily lives, but the wonderful variety of life around us can be appreciated by knowing where to look, and when. Founded in 1888, Haslemere Natural History Society still provides a focus for enthusiastic naturalists of all ages. The Society helps local people see and learn about our wildlife heritage by organising Field Meetings and Indoor Talks led by friendly specialists. The Society's enthusiasms are broadly based, which ensures a wide range of interests are covered each year for old and young alike. Almost every month we organise a field meeting, usually on a Saturday. And during the winter we run a number of talks at Haslemere Educational Museum. Our web site is updated frequently with local sightings reports, HNHS news and a fine selection of photographs. Haslemere Museum. Although separate organisations, the Society and Museum are closely associated. In addition to joint lectures members can also benefit from the Society's large collection of reference books and journals incorporated in the Museum's library.